My Little Kitchen: It's My Birthday! Happy birthday to me, happy birthday to me! Yep it's my birthday today. I'm thirty-seven. But we'll quickly gloss over that number and move on to happier things. I baked this birthday cake for myself. 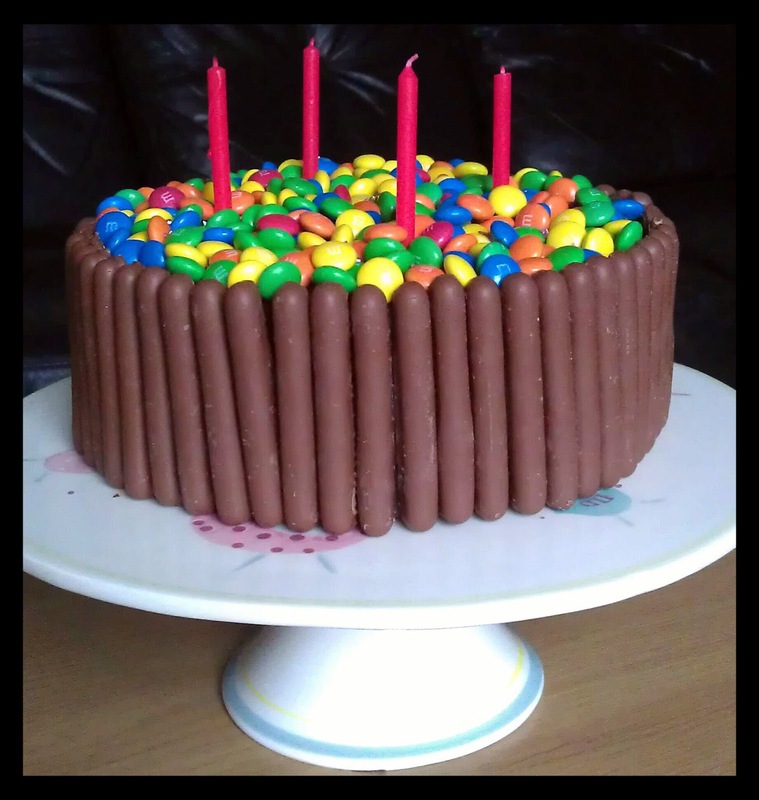 I've been planning this for a few weeks but changed it at the last minute by topping it with smarties instead of Maltesers that I had originally planned. I just thought smarties would appeal to Oliver and Lydia a bit more. So it was a mad dash to Sainsbury's last night for Smarties and chocolate fingers as I was about five short of those too. I'll do a post of the recipe for the cake when I've got a spare minute! 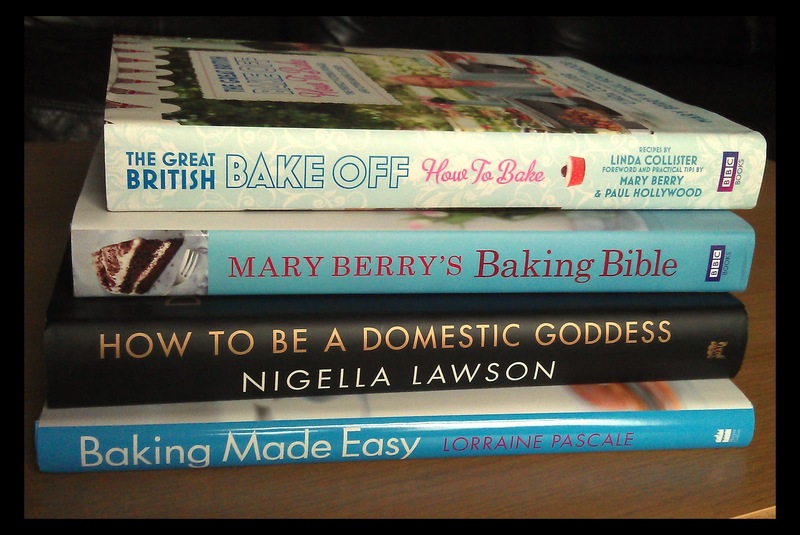 My parents bought me these four baking recipe books. 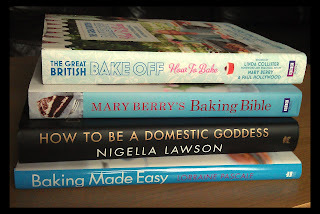 They were on my wish list so I can't wait to start flicking through and bookmarking all the recipes that I want to try. My lovely friend at work gave me this ring that she made. 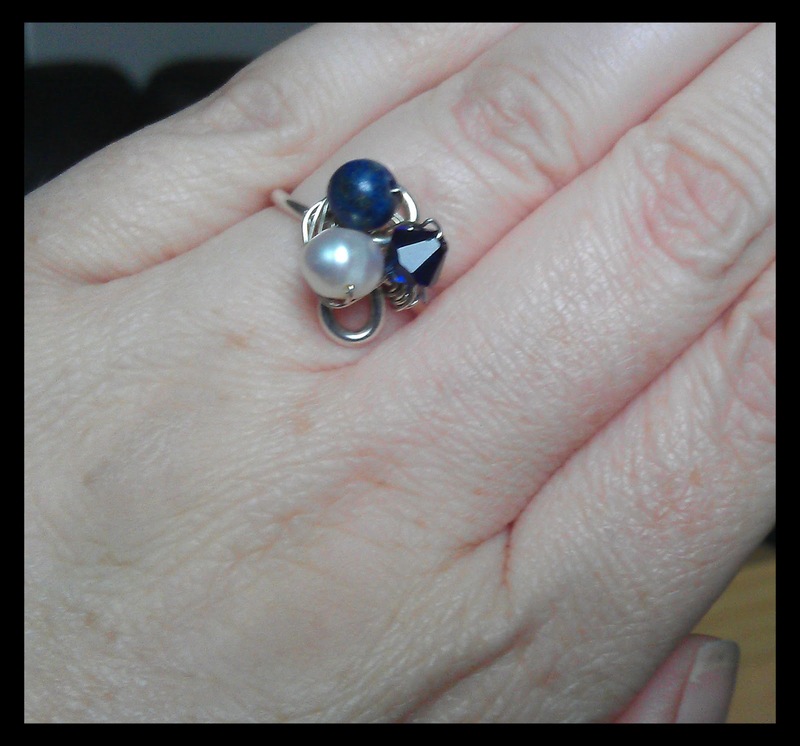 She is a jewellery maker and I'd recently admired a similar ring that she was wearing. So she made this for me. I think it's very 'me'. Tonight I'll be celebrating by 'larging it' at Bingo with my sister and friends. Well isn't that what you do when you get to a certain age?! 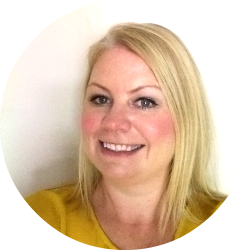 Happy birthday - hope you're having a fab day and a giant slice of that cake.